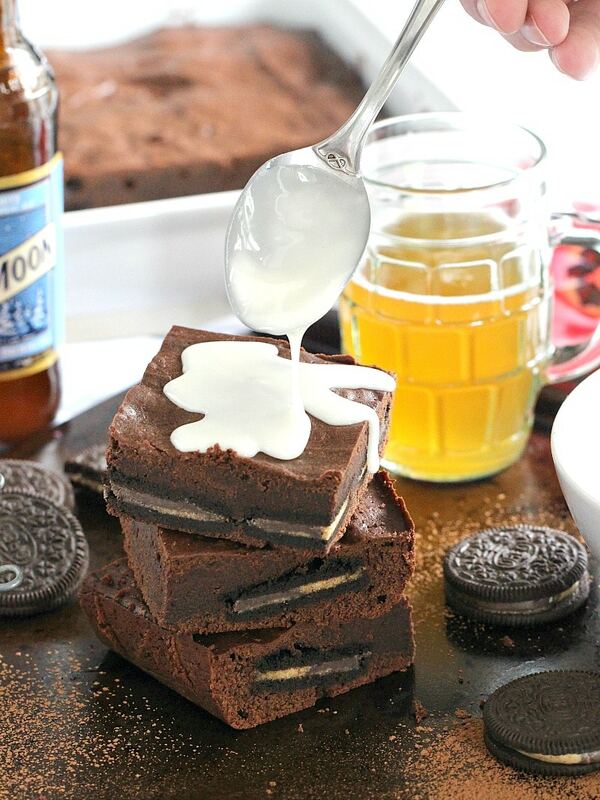 Reese’s Oreo Chocolate Beer Bars are stuffed with Reese’s Oreos and topped with a flavorful beer icing. One bowl, easy to make and ready in under one hour. We love making Reese’s and Oreo desserts, and among our most popular once are Instant Pot Oreo Cheesecake, Oreo Devil’s Food Cake Truffles and Peanut Butter with Reese’s Cheesecake. 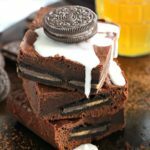 Reese’s Oreo Chocolate Beer Bars is a must try if you love Oreo Cookies and Beer. Its just a perfect combination of bitterness and sweeteners in one delicious bar. These Reese’s Oreo Chocolate Beer Bars are totally addicting and such a fun treat. 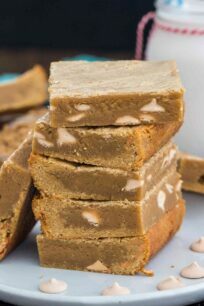 The bars are easy to make and takes less than an hour to have them ready on your table. 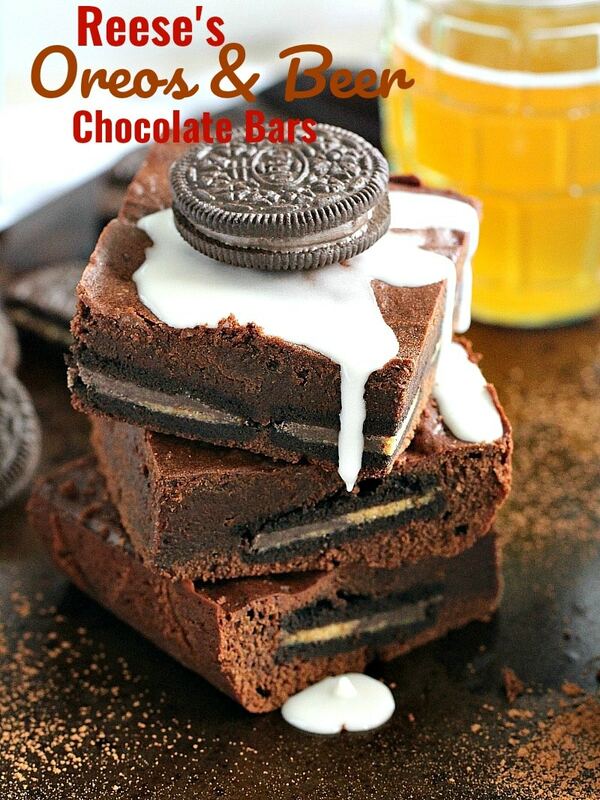 They are dense and fudgy, loaded with crushed Oreo cookies, which makes them the perfect chocolate lovers dessert! The beer just adds a beautiful texture to them, and the crumb is rich and dense. Reese’s Oreo Chocolate Beer Bars tastes delicious and you get the full aroma of beer. For a denser beer flavor, I recommend using unfiltered beer or IPA beer. Using high quality cocoa in this recipe is key, as the chocolate flavor is front and center. The firmness of the buttercream frosting depends on the amount of sugar to liquid ratio. If you want a firmer frosting, add more confectioner’s sugar. If you want a softer frosting, add more beer to it. Just do it gradually. Use strong flavored beer for a more pronounced beer taste. How to freeze the Reese’s Oreo Chocolate Beer Bars? If freezing a frosted cake, first place cake in the fridge, so the frosting isn’t too soft. Fully wrap cake in plastic wrap tightly. Next, wrap in aluminum foil or place it in freezer bags. Freeze for up to 3 months. Defrost before slicing. 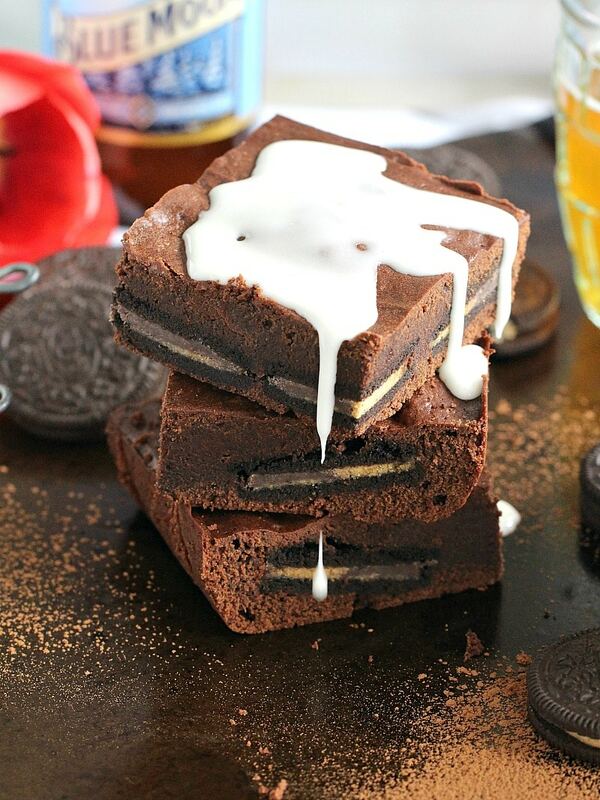 Reese's Oreo Chocolate Beer Bars are stuffed with Reese's Oreos and topped with a flavorful beer icing. One bowl, easy to make and ready in under one hour. Add the butter and sugar to the bowl of a stand mixer and beat until well combined, about 1 minute. Add the egg and vanilla, beat until combined. Stir in the beer, and oil, I used canola oil. Using a spatula, stir in the flour, cocoa powder, baking soda, and salt until just combined. 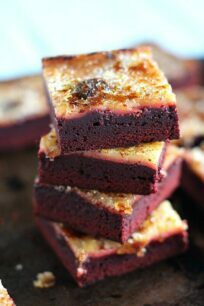 Pour 1/3 of the batter into a brownie pan that’s been greased or sprayed with baking spray. Top with the Oreos and the rest of the batter. Using a spatula level the top layer. Bake for 35-40 minutes or until a cake tester inserted into the center comes out with just a few crumbs. Remove from oven and allow cooling completely before icing. In a medium bowl mix powdered sugar and beer one tablespoons at a time, until well combined and no lumps are visible. 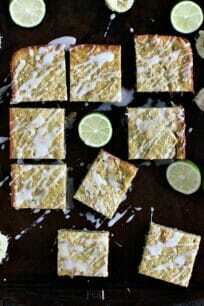 Cut the cake into bars, drizzle with icing and chill until set.